Boston, MA – After record snowfalls in the Northeast, residents are digging out. Aside from the challenge of clearing driveways and sidewalks, many New Englanders are finding themselves without power. 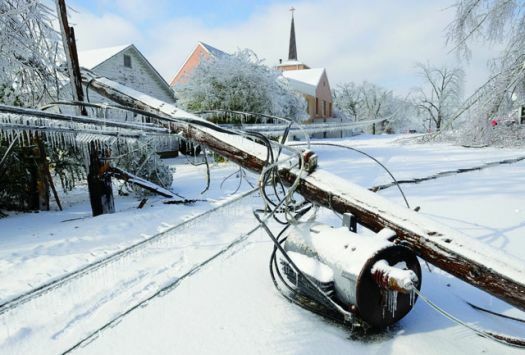 Extreme snowfall coupled with high winds has knocked down much of the area’s power lines. Commuters are being waylaid by roadways blocked by fallen power lines and electric infrastructure. Rather than simply choosing another route, citizens are being urged to take an active role in clearing these routes. “If people could take a moment to get out of their cars and move these downed lines, it would go a long way to getting life back to normal,” says City of Boston Public Works Director William Haney. “Don’t be lazy and just call the power company or 911. Take swift action. Concerned for public safety, officials are urging caution when handling downed lines and poles.